The Schonburg is a castle above the medieval town of Oberwesel in the UNESCO World Heritage site of the Upper Middle Rhine Valley. Schonburg castle remained in ruins for 200 years until it was acquired by the German-American Rhinelander family who bought the castle from the town of Oberwesel in the late 19th century, and restored it. 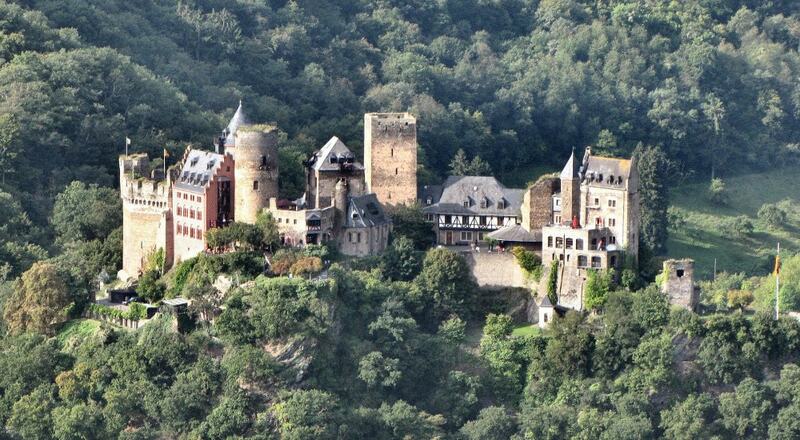 The town council of Oberwesel acquired the castle back from the Rhinelander family in 1950. Since 1957, the Huttl family have been living at the castle on a long-term lease; they operate a successful hotel and restaurant there.